Increased productivity is the goal of every transcriptionist. Time is money, so developing tactics to speed up your work is an important aspect of this specialty. Follow these steps to increase your productivity, work in comfort and put yourself ahead of your competitors. 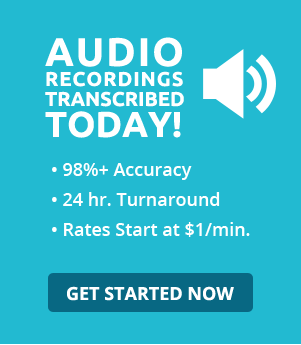 “Practice makes perfect” is true in scores of professions, and it is especially true for dedicated transcription typists. Find some free, timed typing test sites, and challenge yourself. Some websites offer tutorials to help you correct bad keyboard habits that slow you down, in addition to practice lessons for symbol, letter and number combinations to speed up your fingers. When your posture causes pain and fatigue, you are less likely to maintain a good level of productivity. A good office chair is your best friend. Use a chair that rolls and has lumbar support that hugs your back. Adjust your chair so that your feet are flat on the floor or a footrest, your wrists and arms are supported and you can easily view your monitor. One of the most effective ways to increase productivity is the use of text expanders, such as macros or auto text. Text expanders store repetitive phrases in the dictation, and they’re easy to use with just a few keystroke combinations that you assign. A key step towards increasing productivity dovetails with using macros for repeated information. Mouse use interrupts your keystroke mechanics and slows you down. Memorize or keep a list of keyword combinations, such as Alt+Tab to switch between open programs, Ctrl+X to cut or Ctrl+A to select all data in a document or window. You substantially increase your productivity because your fingers never leave the keyboard. Determine a schedule for taking regular breaks, even with your demanding deadlines. For example, do 15 minutes of audio at a time, then get up from your workstation for at least five minutes. Take a walk, stretch, eat a snack or just admire the outdoor landscape to refocus your vision. Breaks are an essential component in productivity because you return to your transcription refreshed and energized. Whether you are a seasoned transcriptionist or just beginning your career, there are exercises and resources that help you increase your productivity. By taking advantage of these resources and enhancing your skills, you can power up your earning potential and get a lasting competitive edge.